Long before the New Wave and the Parallel Cinema movements were born and recognized, even before the Italian Neo-Realism had had its influence on the cinema around the world, a young, passionate filmmaker from India made his debut film, a social drama, that went on to win the prestigious Grand Prix at the first Cannes Film Festival, scoring above Hitchcock's Notorious, Clement's Le Pere tranquille, and Cocteau's Le Belle et La Bete. 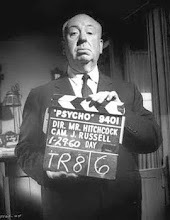 It was the first film for which Pt. Ravi Shankar scored the music, following it up with such phenomenal works in several Satyajit Ray films. 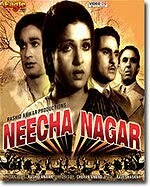 The filmmaker was Chetan Anand and the film, perhaps the most underrated jewel of Indian Cinema - Neecha Nagar (1946), a film that was never released in its own country and remains a forgotten masterpiece in the cinema consciousness of a crazy nation. A nation where today any International recognition is hailed with an embarrassing pomp by its media has almost always been oblivious to the first film to have achieved that. 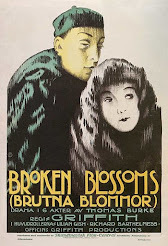 The widespread belief that it was based on the play Lower Depths, by Maxim Gorky is as far from reality as close is the similarity between the titles of both works. Neecha Nagar is an expressionistic take on a realistic social problem, reminiscent of Lang’s Metropolis (1926), where a sub-urban town is divided into an upper Ooncha Nagar and a low-lying Neecha Nagar. Sarkar, an immoral, wealthy builder has ordered the diversion of a sewage drain into the Neecha Nagar that has caused widespread diseases and disrupted the lives of the poor people, to reclaim a land from a swamp where he intends to make buildings for his profit. How the people fight their own insecurities and fears and join hands against the wealthy builder is the story of the film. It was made during the last days of the British rule. 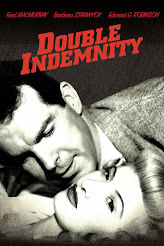 During those days the British had imposed severe restrictions on films, esp. those with a strong social statement and acquiring film stock was extremely difficult. It was then that this group of enthusiasts, including an all-new cast, joined hands, almost analogous to the characters in the film, and made this film within an extremely modest budget. In fact, they had to use damaged and foggy stock, which the director Chetan Anand intelligently used to shoot the night sequences. But after the film was complete, the authorities did not allow it to be released. Some said it was ‘too ahead of its times’. Waiting for years, the print gradually got damaged. The director even wrote to Nehru to provide aid to preserve the print, but not much happened and the print was eventually lost. Almost two decades later, cinematographer Subroto Mitra, who had worked on Ray’s Apu Trilogy, miraculously discovered a print of the movie at a junk store in Calcutta. The print today lies at the Film Archives of India, Pune, and was used to create the video version of the film that is available today as a poor quality DVD, with flame-like flashes across the screen during the climax. 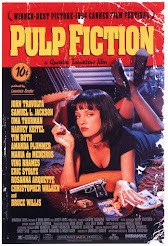 However the film is a difficult watch today even if you choose to ignore the ageing of the print. The film, in itself, has aged too, its aesthetics appear outdated; its narrative requires patience to sit through its hundred odd minutes. The film that was once considered ahead of its times is now obsolete for the common audience. It could never get the audience it deserved and today it is important for historical and academic purposes only. But if you watch it with all these considerations, Neecha Nagar is not a film difficult to appreciate. The first thing that hits you is the director’s treatment of the socially relevant, realistic issue. 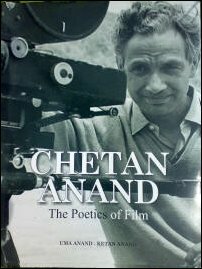 It is unique as Chetan Anand chooses to give it a flavour of expressionism, close to surrealism, esp. in its final sequences. The innovative use of montage, definitive and forceful camera movements, and the effective use of score and silence – the director’s maturity is as evident from these as it is from the way he has made his actors perform. In an era when melodrama and theatrical body language was the norm, Anand’s actors, including the debutante girls Kamini Kaushal and Zora Segal, are restrained - a gaze tells a hundred words, a moment of silence speaks a thousand. And the tools he has used to create the menacing character of Sarkar adds a strong surreal feel to it – the statue of a monster in his office, the portrait of a demon half-hidden behind a wall, and the shot of a vulture dissolving into an up-angle close-up shot of his face. Then there is this scene when his daughter finds him awake at night, and as he walks to and fro in his room, she looks at his imposing shadow growing and diminishing with his motion. It is this imaginative blend of realistic acting and expressionistic technique – both ways ahead of his times that make this film an important cinema statement. It is indeed difficult to believe that it was his first work. Interestingly, he has not been credited as the ‘Director’ of the film, but has taken the credit for ‘Film Creation’. Chetan Anand went on to make films that earned him further critical acclaim and occasional commercial success. But in spite of making films like Taxi Driver(1954), Haqeeqat(1964), Aakhri Khat(1966), Heer-Raanjha(1970) and Hindustan Ki Kasam(1973), he remained an underrated genius. Even his own brothers Dev and Vijay Anand overshadowed his poetic cinematic wisdom by their popular appeal. As the fate of his first film, Chetan Anand’s story remains an immortal echo in a lost world, perhaps waiting to be discovered by some another film enthusiast from the junk yard Hindi cinema has become. P.S. To have a glimpse at the film, click here. I only had a very vague idea about this movie. Thanks for bringing this out. Will inform you as soon as I find out. But how do i reach you? I have seen the movie...they showed this once on Doordarshan long back..There was a time when DD used to show these late in the night! Many years have passed. I now have a copy of Neecha Nagar. As it is based on "Lower Depths", we are soon to be watching versions by Kurosawa and Renoir. I was so hoping we could add this, and I have found a none-too-pretty copy of the movie, but can not find a .srt subtitles file. Any hope in this regard? 'Neecha Nagar' is not based on 'Lower Depths'. I'm letting you know this because such expectations may ruin the experience for you. Also, I don't think there is any pretty copy of the movie. Even finding an .srt file might be difficult. But let's hope, in this world of increasing connectivity and increasing online resources, we will soon have solutions to these problems.